2Pac‘s fourth album. Release date: February 13, 1996. All Eyez on Me was released on February 13, 1996 under Death Row Records and distributed by Interscope Records. The album is frequently recognized as one of the crowning achievements of 1990s rap music. The album featured the Billboard Hot 100 number one singles “How Do U Want It” and “California Love”. It featured five singles in all, the most of any of Shakur’s albums. 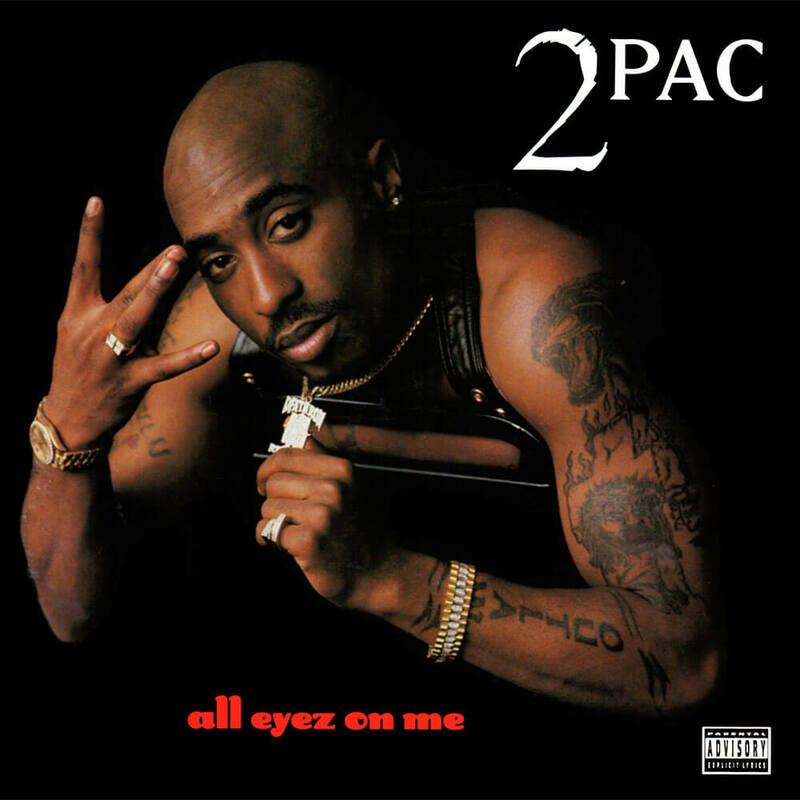 Moreover, All Eyez On Me (which was the only Death Row release to be distributed through PolyGram by way of Island Records) made history as the first double-full-length hip-hop solo studio album released for mass consumption. It was issued on two compact discs and four LPs. All Eyez on Me was the second album from 2Pac to hit number-one on both the Billboard 200 and the Top R&B/Hip-Hop Albums charts. The album won the 1997 Soul Train R&B/Soul or Rap Album of the Year Award posthumously. Shakur also won the Award for Favorite Rap/Hip-Hop Artist at the 24th Annual American Music Awards and is also commonly referred to as one of the greatest hip hop/rap albums of all time. The album was certified Diamond by the RIAA on July 23, 2014, almost 18 years after Tupac’s death.